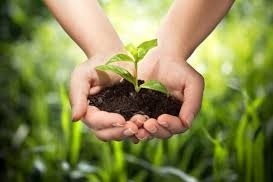 Many of our clients inquire about how they can invest in a socially responsible manner. Socially responsible investing is when you take your beliefs and values and apply them to how you invest your money. The challenge is to invest with your beliefs in a low cost manner, stay diversified and not sacrifice returns. We meet this challenge by adding a sustainability tilt to the academic tilt described in our core investment approach and backward test it for performance. If you are interested in considering socially responsible investing, we would be happy to meet with you to discuss the issues, risks, and potential opportunities.